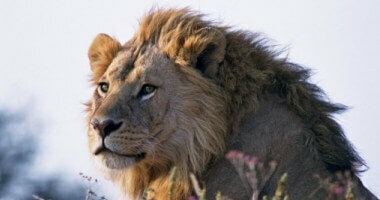 - Stay at the Belmond Camps in Botswana, with an optional extension to Cape Town, Mount Nelson Hotel. - We appreciate that people like choice. Belmond Safaris will always give you that choice, so any of the suggested itineraries we offer can be tailored to suit your individual tastes and interests. At Livingstone Airport, met by an Belmond Safaris representative and you are transferred by light aircraft to Kasane, Botswana, where you clear customs in to Botswana. From Kasane continue with your air transfer onward by light aircraft – (Please note luggage is restricted to max 20kgs per person in soft bags for all flights) to Savute region of Chobe National Park and Savute Elephant Camp. 2 nights at Savute Elephant Camp in luxury twin bedded air conditioned tents with en suite facilities, all meals including a la carte dinners, buffet brunches and breakfasts, afternoon teas, morning wake up tea and coffee brought to your tent, all soft drinks, house wines, local beers and spirits (excluding premium brands), in tent mini bar, laundry services, all game viewing activities, emergency medical evacuation insurance, national park fees and 10 % Botswana VAT. 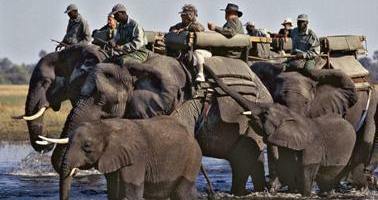 Savute Elephant Camp is located in the rugged, semi-arid wilderness region of Chobe National Park. The mysterious, dry Savute Channel abounds with some of Africa’s largest and most impressive creatures and is known for its high concentration of predators and excellent birdlife. One animal that reigns supreme in the Savute is the elephant in all its full, dusty magnificence. Accommodation is in 12 luxury tents on raised wooden platforms offering great views and shaded by a traditional African thatch roof. The large private decks are furnished with outside fan, easy chairs and a hammock, ideal for viewing wildlife, or for enjoying dinner in complete privacy. The tent interiors are luxuriously appointed with such comforts as a four poster bed complete with mosquito netting, air conditioning, electric overhead fan (24 hours use), heater, in-room safe, mini-bar, hair dryer and an intercom system to reception. Bathrooms are en suite and consist of “his & hers” vanity unit, shower, separate w.c. and full length mirror. The guest areas of this stylish camp are accessed by well-illuminated pathways and consist of a covered dining area, bar and lounge, video and reference library. Outside there is an open fireplace and seating area, the Savute Boma for dining out under the stars and a well stocked curio shop. One of the features of the camp is its specially constructed “elephant proof”, heated swimming pool. Savute Elephant camp promises outstanding game viewing without having to leave the confines of the camp itself, so prevalent is the wildlife around the water hole just a meters away from the camps main building. When you venture out, in open 4x4 vehicles, there are excellent opportunities to see wildlife on the now dry Savute Marsh, which is home to the zebra migration during the months of February and November (after the first rains). A special attraction is an excursion to the nearby Gubatsa Hills to view historic rock paintings drawn by the early Bushmen, who once inhabited the region. Continue onward to your next lodge by light aircraft to Khwai River Lodge for further stay on safari in Moremi Wildlife Reserve. 2 nights at Khwai River Lodge in luxury twin bedded air conditioned tents with en suite facilities, all meals including a la carte dinners, buffet brunches and breakfasts, afternoon teas, morning wake up tea and coffee brought to your tent, all soft drinks, house wines, local beers and spirits (excluding premium brands), in tent mini bar, laundry services, all game viewing activities, , emergency medical evacuation insurance, national park fees and 10 % Botswana VAT. Khwai River Lodge nestles on the edge of a Leadwood and fig tree forest, overlooking the vast Khwai River floodplains and beyond into the Moremi Wildlife Reserve. The exceptional location of Khwai makes it’s a regular host to elephant, buffalo, lion, leopard, cheetah and wild dogs. Birdlife can also be viewed in abundance with fantastic sightings of wildfowl and raptors near the lodge. Accommodation is in 15 luxury tents on raised wooden platforms offering great views and shaded by a traditional African thatch roof. The large private decks are furnished with outside fan, easy chairs and a hammock, ideal for viewing wildlife, or for enjoying dinner in complete privacy. The tent interiors are luxuriously appointed with such comforts as a four poster bed complete with mosquito netting, air conditioning, electric overhead fan (24 hours use), heater, in-room safe, mini-bar, hair dryer and an intercom system to reception. Bathrooms are en suite and consist of “his & hers” vanity unit, shower, separate w.c. and full length mirror. The guest areas of this stylish lodge are accessed by well-illuminated pathways and consist of a thatched covered dining area, bar and lounge with an open fireplace, video and reference library. Outside there is a campfire and seating area, enclosed observation deck and large heated swimming pool. There is a well-stocked curio shop and safari museum, which depicts the history of Khwai River Lodge, one of Botswana’s oldest safari lodges. Recent additions are a small gymnasium and health spa offering aromatherapy massages and various treatments. Morning and afternoon game drives into Moremi Game Reserve provide excellent sighting opportunities while night drives, conducted outside the reserve, will reveal a variety of nocturnal creatures hunting and foraging for food. For guests wishing to stay at the camp and relax, there is a hide overlooking the Khwai floodplains. Star gazing presentations are conducted after dinner. The extended viewing deck has two relaxing sun loungers, perfect for basking in the warm African sun. And to the side, a generous heated splash pool which is set amongst the trees for shade and privacy, yet with full views of the Khwai River, allows one to wallow in communion with the hippos whilst spotting elephant, zebra or giraffe grazing on the river banks. The open air double showers and beautiful deep copper-framed Victorian bath, with only the tree canopy as a roof, offers further opportunities to commune with nature. Following final safari at Khwai continue onward by light aircraft to the Okavango Delta region for final 2 nights. 2 nights at Eagle Island Camp in luxury twin bedded air conditioned tents with en suite facilities, all meals including a la carte dinners, buffet brunches and breakfasts, afternoon teas, morning wake up tea and coffee brought to your tent, all soft drinks, house wines, local beers and spirits (excluding premium brands), in tent mini bar, laundry services, all game viewing activities, emergency medical evacuation insurance, national park fees and 10 % Botswana VAT. – New addition for 2008 season – special highlight one helicopter activity over the Delta included during your stay. Eagle Island Camp at Xaxaba, meaning “Island of Tall Trees” is a beautiful and unspoilt refuge. Xaxaba is the gateway to the wonderful and mysterious Okavango Delta whose waters pass swiftly and silently through vast beds of papyrus, and countless islands of palm trees to eventually soak into the subterranean sands of the Kalahari Desert. This is one of the Delta’s most pristine natural locations. Accommodation is in 12 luxury tents on raised wooden platforms offering great views and shaded by a traditional African thatch roof. The large private decks are furnished with outside fan, easy chairs and a hammock, ideal for viewing wildlife, or for enjoying dinner in complete privacy. The tent interiors are luxuriously appointed with such comforts as a four poster bed complete with mosquito netting, air conditioning, electric overhead fan (24 hours use), heater, in-room safe, mini-bar, hair dryer and an intercom system to reception. Bathrooms are en suite and consist of “his & hers” vanity unit, shower, separate w.c. and full length mirror. A canopy of indigenous trees shades the camp, a cool retreat from the African sun. The guest areas are most attractively furnished and consist of open air and under cover dining, bar and lounge, illuminated pathways, curio shop, reference book and video library and large heated swimming pool. Magnificent sunsets can be enjoyed during times of high flood from the camp’s romantic Fish Eagle Bar or from the raised deck overlooking the lagoon. Eagle Island Camp’s serene watery base lends itself to quiet relaxation, contemplation and reflection. Following final safari activity and breakfast at the lodge continue by light aircraft onward to Maun Airport. Connect with return flight to Johannesburg (flight not included, for your own account) with Air Botswana. 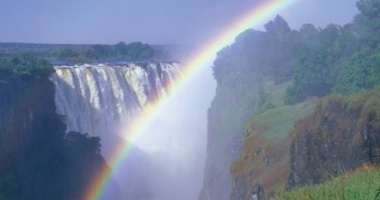 Emergency medical evacuation insurance, national park fees and 10% Botswana VAT. Items of a personal nature such as gratuities and gifts. 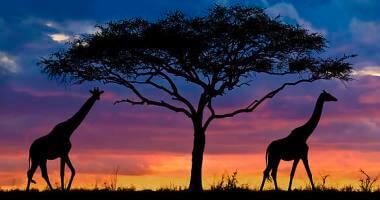 Naturally Wild spa treatments, private game drives and dining options available on request. Should guests want to add an extension to Cape Town, for a 3 night stay at the Mount Nelson Hotel, we will be more than happy to arrange it! The Mount Nelson Hotel is the most iconic luxury hotel in Cape Town situated within a sprawling lush garden estate in the heart of the city’s vibrant cultural center and close to the bustling V&A Waterfront and some of Cape Town’s best beaches. Whether travelling for business or leisure in Cape Town, a family holiday, a honeymoon or a solo adventure, the Mount Nelson Hotel is an elegant oasis in a world where privacy is the new luxury and pleasure is all about peace and serenity. The Hotel boasts six individual accommodation wings, each with its own unique character, private gardens and facilities. The 201 spacious rooms & suites are individually decorated and feature the latest in 21st century conveniences.